"Fatherhood is pretending the present you love most is soap-on-a-rope." ~ Bill Cosby. In general, dads can be a challenge when it comes to gift-giving. We tend to be rather utilitarian and can feel uncomfortable splurging on ourselves or having someone else splurge on our behalf. Our closets tend to be full of comfortable things for lounging around the house (threadbare gym shorts, anyone?) or work-wear. And pipe-smoking went out with monophonic television. 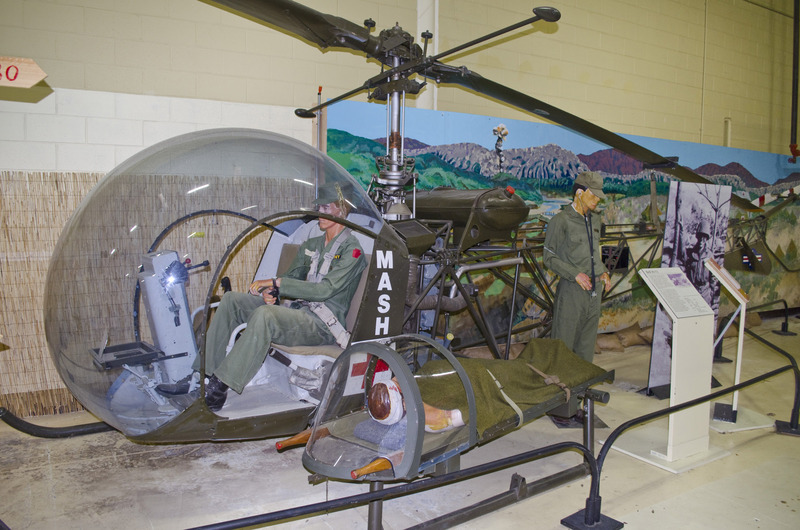 For a unique gift this Father&apos;s Day, take dad to the American Helicopter Museum & Education Center. Fatherfest, June 15 from 10 a.m. to 2 p.m., is a full day of information, history and a thrill of two, all for seven bucks per person. The staff is friendly and very knowledgeable, eager to detail the history of helicopters and their long-term role in our area&apos;s economy. At the onset of my recent visit, I met docent Bob Graeff, who became interested in helicopters from his tenure assembling them at the Piasecki Helicopter manufacturing plant (later sold to Boeing) in Morton, Delaware County. We bond immediately when I tell him that my father worked for more than 30 years for the U.S. Navy as an aircraft carrier engineer. One of my father&apos;s last projects before retirement in the mid-1980s was VTOL: Vertical Takeoff and Landing, a concept that has finally come to fruition with the Bell Boeing V-22 Osprey. The Helicopter Museum has an Osprey onsite; it is currently outside on the tarmac for restoration. But before we get too far, Graeff guides our helicopter conversation back to its beginnings. Southeastern Pennsylvania was crucial to the development of rotary flight, mostly through the invention of the autogyro by Harold Pitcairn. The Pitcairn family and its multigenerational story have been preserved by the Bryn Athyn Historic District, which would make an interesting combo daytrip to a visit to the Helicopter Museum (they&apos;re separated by only about an hour&apos;s drive). The connection to the area was strengthened by Philadelphian Frank Piasecki. Piasecki&apos;s innovative plant found a way to mitigate the damaging forces of torque by designing a second rotor on the back of the craft, spinning in the opposite direction of the front blades. Graeff shows me a vintage Piasecki helicopter. "Part of my job at the Morton plant was riveting these fuselages together," Graeff says, patting the craft. "I was one of 6,000 people who worked for Boeing at that time. They came off the assembly line with a coating of zinc chromite. They were yellow before they were painted. Because of the color and the shape, we called them ‘the flying bananas.&apos;" Graeff tells me that a Piasecki model was used to pluck astronaut John Glenn out of the ocean following his February 1962 orbit of the earth, and a nearby video monitor replays the footage. We wander among the other craft. Graeff outlines advances and trends - even an early attempt to make helicopters a viable commuting option for the consumer market. We walk through decades of helicopter history, pausing to view the Bell 47, which was used extensively in Korea and whose bubble-encased cockpit became lodged in the public mindset from the television show M*A*S*H. This model has evolved into the crafts that supply much of today&apos;s news and traffic coverage from the sky. One of the latest displays is a fierce-looking Bell AH-1 Cobra, whose thin body, blunted snout and black paintjob have turned it into something dragon-like that could easily chase terrified Hobbits out of Middle Earth. "The design," Graeff explains, "puts the gunner below and in front of the pilot, who sits a little raised and behind. They are front-and-back rather than side-by-side to present a thinner, smaller target to approaching enemies." We view a number of prototype drones, including a primitive design with a joystick that looks like it would be more at home in a video arcade. I am surprised to learn that drone technology is nothing new. Graeff also points out "Stubby," a modified helicopter on a small trailer that the museum takes to many schools and community events. "Kids will line up to sit in that and pretend to fly," he laughs. The museum boasts famous and passionate visitor: "We were working on a Friday, and in walks Ernest Borgnine." Depending on your age, Ernest Borgnine is either the Oscar-winning actor for the film Marty (1955), Lieutenant Commander Quinton McHale on TV&apos;s McHale&apos;s Navy (1962-1966) or the voice of Mermaid Man on SpongeBob SquarePants (1999). "Borgnine&apos;s wife, Tova Traesnaes, was appearing next door on QVC, selling cosmetics. When he got bored, he wandered over." Borgnine was so captivated that he immediately made a donation to the museum. His support continued even after the famous couple returned to California; Borgnine was named to the board of directors, where he served until he recently passed away. 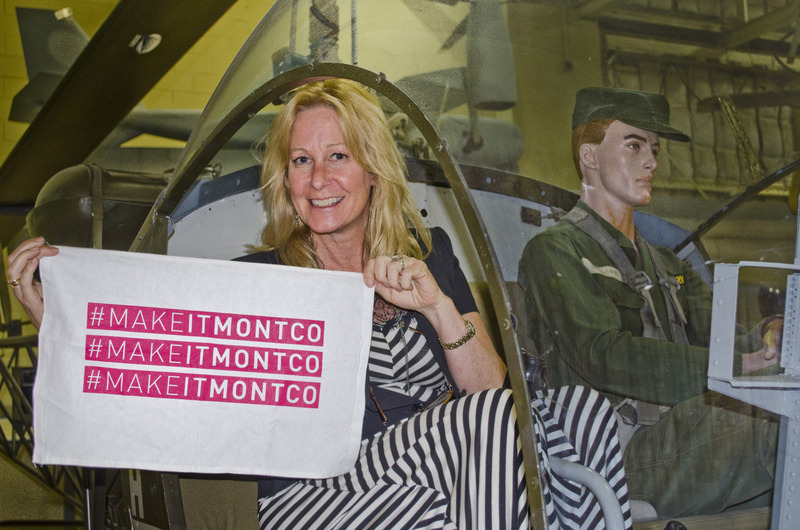 The American Helicopter Museum & Education Center&apos;s Fatherfest is a celebration of all things helicopter. Dads can relive great moments in military history and even take a ride for themselves (for a separate charge, but still, doesn&apos;t a helicopter ride beat a bottle of aftershave as a gift?). Closer to the ground, Fatherfest includes food, kid-related fun and an antique car, hotrod and motorcycle show. To truly treat dad like a king, after the museum, treat him to a five-star dinner out. Sullivan&apos;s Steakhouse has a menu that will set his eyes spinning. Then let him "land" at an area hotel and cool his jets. Our website lists a number of options.